Full disclosure: I did not attend the Ann Arbor Democratic Party's City Council candidate forum. I've heard there might be a video of the forum lurking out there somewhere. If anybody knows where to find such a video, drop me a line. 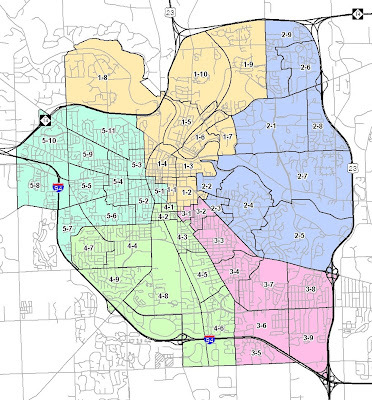 Democratic city councilpersons Stephen Rapundalo (Ward Two), Stephen Kunselman (Ward Three), and Mike Anglin (Ward Five) face challengers in the Ann Arbor's August 2nd primary election. On Saturday, June 11th, these incumbents and their challengers attended a forum hosted by the Ann Arbor City Democratic Party. Based on this article from the Com, it seems like there were a few major issues that the candidates discussed at the forum. The DDA and the City have recently struck a deal where in exchange for an increased share of downtown parking revenues, the City has granted the DDA authority to set downtown parking hours and rates. My Ann Arbor political barometer senses that there are rumblings of discontent about this from city residents. Based on comments I've read on the Com there seems to be a group of people that are unhappy that "an unelected body has so much power in Ann Arbor." I also think that recent financial negotiations between the city and the DDA have stressed the relationship between these two groups. Incumbent Councilman Kunselman (HA! ), 3rd Ward, expressed that he thinks there is redundancy between the DDA and the city, and that the DDA wastes money on luxuries. He is in favor of downsizing the DDA. One of Kunselman's opponents, Ingrid Ault, former interim director of the Ypsilanti DDA and current executive director for Think Local First, expressed a similar point of view saying that it might be good to "rein [the DDA] in." The city has been forced to cut its budget recently and with that there have been cuts to services. A contentious issue has been cuts to the police and fire departments amounting to the loss of thirty-some odd positions over the next two years, unless police and fire unions agree to concessions. There has been a lot of discussion about how to balance the city's budget while maintaining aging infrastructure and city services. It's a sticky situation, and (based on the quotes in the Com's article) it seems like none of the candidates have said anything concrete so far. Oh sweet Library Lot. Soon you will no longer be a sinkhole generating pit, threatening to swallow Earthen Jar and Jerusalem Garden. Soon we will have to decide what to do with you. At the forum the candidates tossed around some general ideas about the property such as maximizing tax collection. Overall I feel like a comment about the Com's article by David Cahill sums up the forum pretty well: "This is good coverage of an event that was not contentious. The candidates went out of their way not to attack each other." Despite the article's title, Candidate Forum brings out the differences among Ann Arbor City Council candidates, and it seems like at this point there are few substantial differences between these candidates. 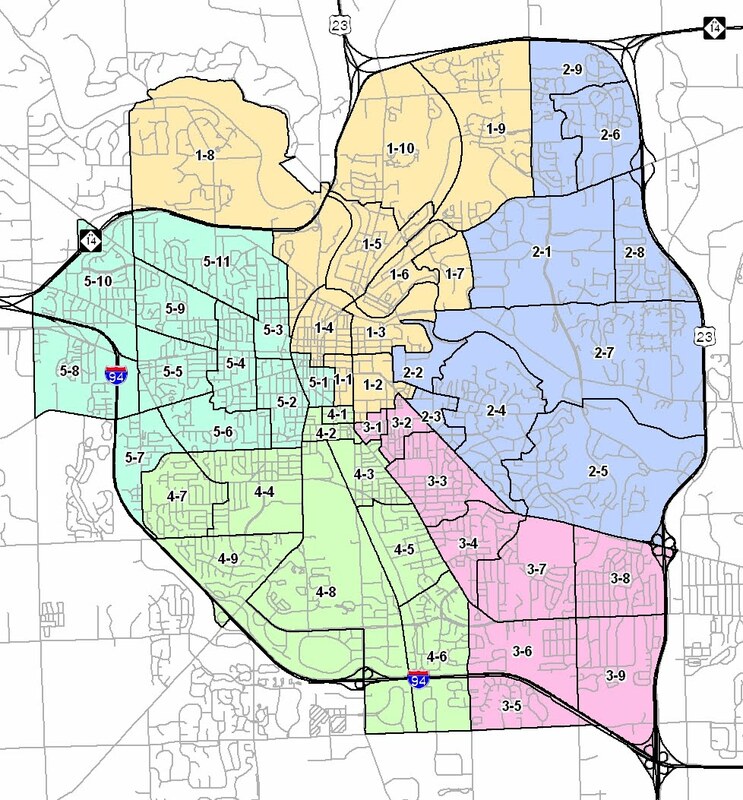 If you are a resident of Ann Arbor, you can register to vote through July 5th and be eligible to cast a ballot in the August 2nd primary. Please consider voting. Turnouts are generally small so individual votes have large impacts. Yousef Rabhi's victory in last year's democratic primary turned on a single vote.